Grow 2-1-3 is produced using unique fermentation processes that turn plant material into sweet, earthy-smelling liquid fertilizer. It contains an ideal ratio of organic nitrogen, phosphorous and potassium, as well as highly beneficial organic, humic and amino acids. Organic acids assist in nutrient uptake and provide a carbon source to the roots, enhancing plant size and quality. Naturally occurring sugars provide food for beneficial soil microbes. When mixed with most water sources, it is not necessary to adjust pH prior to application, making the product easy to use. This fertilizer is plant derived and contains no animal derived products or pathogens. 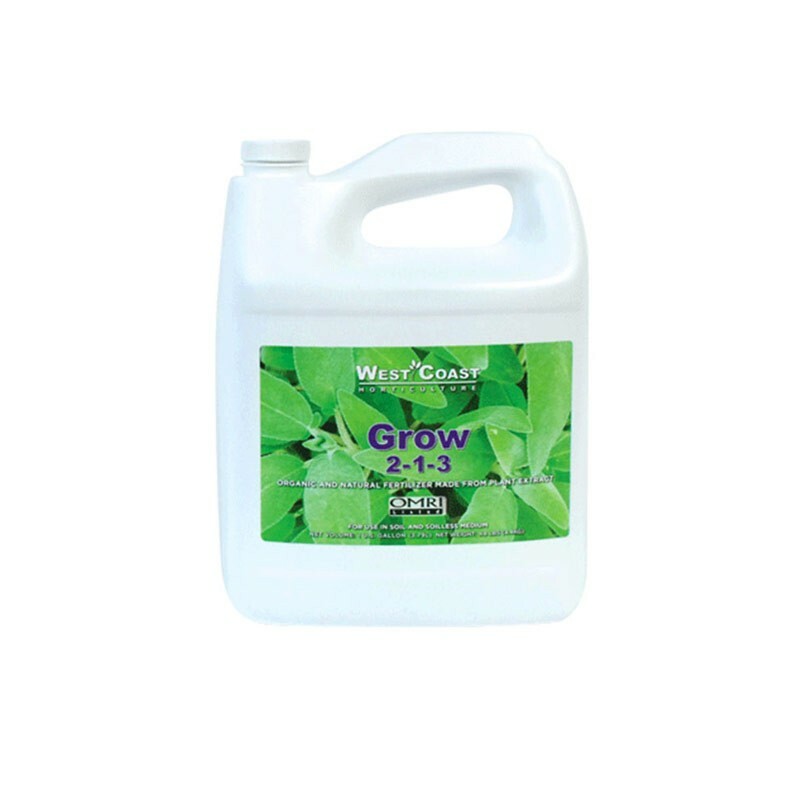 Use West Coast Horticulture Grow 2-1-3 with our Micronutrients and Chelated Calcium to provide all the macronutrients, secondary nutrients and micronutrients required for optimal plant growth. Formulated for use in soil, coco and soilless mediums. This specialty fertilizer is designed for organic production and listed with the Organic Materials Review Institute (OMRI).